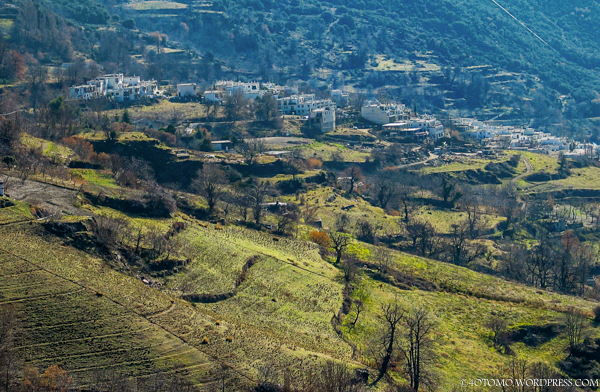 Alpujarra is a historic natural region on the Southern slopes of the Sierra Nevada Mountain range in Andalucia, Spain, situated east of the famous city of Granada. 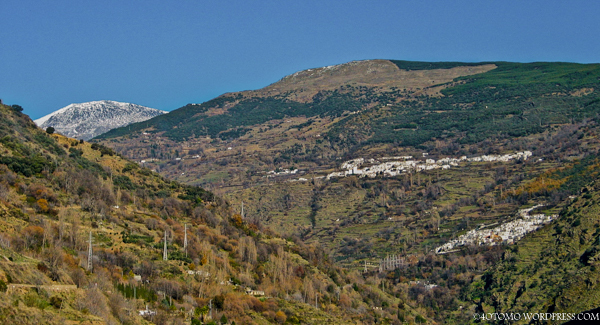 The Sierra Nevada range stretches about 80km from West to East, and includes two of the highest mountains in Southern Spain, exceeding 3400m in height. On a visit there in mid winter a few years ago, I was expecting snow covered slopes, blending in with the characterful white villages of the region. On the contrary, there was only snow on the highest peaks, with green to yellowing landscape everywhere, which appeared very much off-season weather to me. Off-Season is the prompt on the weekly photo challenge this week and images of the region during this time are my response to the prompt……….. Built in 1889 as a fortress, converted to a royal palace in 1333, the Alhambra in Granada, Andalucía in Spain, has seen may changes over time, yet remains a masterpiece, and is my response to the “Masterpiece” prompt for this weeks “weekly photo challenge”. With a relatively plain exterior, the theme of “paradise on earth” becomes evident once you come across the reflection pools and intricate detailing within its walls. Craftsmanship of the highest calibre, without the aid of power tools, makes this a masterpiece worth visiting……………….the journey continues………..
Hmmm…Tuesday evening, I guess a little late but not too late to still make a submission for this weeks “Weekly photo challenge : Inside”. Looking at the number of responses to the challenge, almost 500 already, this is a popular topic :-). My post for this challenge is about the inside of the Grand Mezquita – Cathedral in Cordoba – Southern Spain. I was there a few years ago, camera in hand and managed to get some shots of the inside of this amazing building and its numerous columns, some of these images make up my post for this challenge. I’ve been away for a few days, and am back today heading straight into this week’s new photo challenge – path. I figured that with my being away recently, it was rather appropriate to do a post from far away :-). So, settle yourselves down, fasten those seatbelts we’re heading off to Spain, yep! 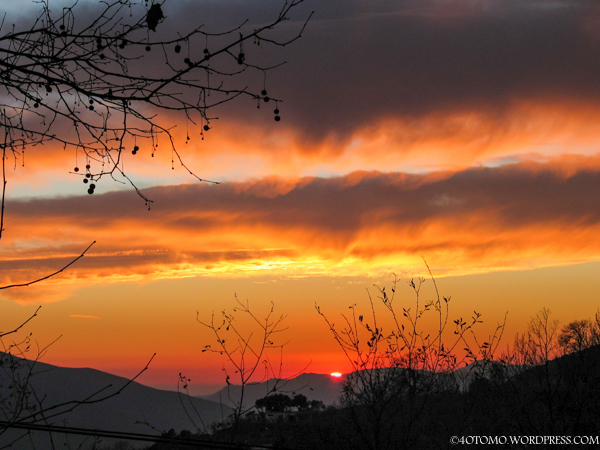 Northern Spain, to an area that is called the Asturias. My visit to the region started off in the regions capital, a place called Oviedo, and shortly afterwards I headed off to the village of Proaza. Wonderfully scenic area, with numerous activities. I can see some you wondering what all of this has to do with path – well, obviously, there was a path from South Africa to Spain, and another to Oviedo, and another to Proaza :-). 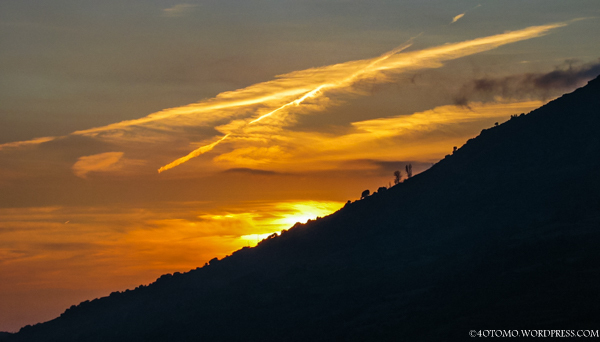 Today’s challenge images are of moments along that journey…………. Yesterday, I took an unconventional approach to this week’s photo challenge, so I figured that maybe today I should post a second, but one that was more conventional. But, then I decided why not add another perspective to the conventional approach, and add something from a previous challenge too. So, this is a hybrid of two challenges, colourful from a couple of weeks ago, and entrance which is this weeks topic. This ones going to require some intercontinental travel, so fasten your seatblets were off to Europe. Barcelona, Spain is where we are headed, Torre Agbar (Agbar tower) is a 38 storey building for the Agbar group, a holding company which has interests in the Barcelona Water Company. Designed by french architect Jean Nouvel in assocaition with Spanish firm B720 Arquitectos. The building is located between Avinguda Diagonal and Carrer Badajoz, near Place de les Glories Catalanes, which marks the gateway to the new technological district of Barcelona, making it very appropriate for the Entrance Challenge. Nevertheless, to stay with the conventional approach, I’ve included some images of the what you could call the “understated” entrance of the bulding. the buiding is lit at night by some 4500 led devices that generate luminous images on the glass facade. Todays images are of the entrance and other areas of the building, all of which were taken at night, whilst the illumination was operational. The journey continues………………………….. 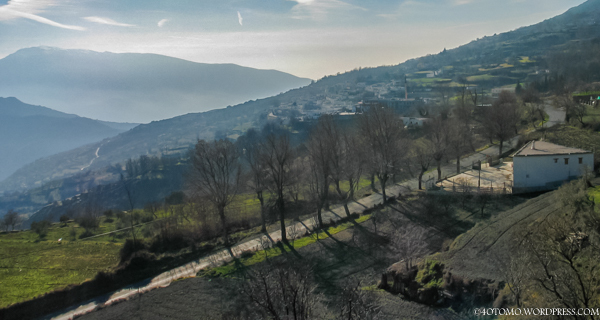 I must confess that when I first started looking at visiting the Alpujarras, I had no idea, maybe I should correct that, I did not notice that Jamon Serrano (cured ham) was such a significant export item from the area. The obvious reasoning behind my not even taking notice of that fact is that I dont eat it… 🙂 so highley unlikely that its something that would have jumped at me while I was discovering what an amazing area this was for hiking. So imagine my surprise when as I got closer to the villages I was travelling to, I started noticing these huge pieces of Jamones hanging in shop windows, out in the open inside some shops, but very much in what I would refer to as front of house. Pardon me for my ignorance about how these things are dried, and the merits of how it is done. And the closer you got to the higher villages, there seemed to be just more and more of it whereever you looked. So, when I arrived one morning at the breakfast room of a pension I was staying at, I was confronted by a whole array of these stands laden with Jamones, literally surrounding the table, small ones, big ones, pink ones, darker ones, wetter and drier ones, all just hanging out there with a little cup below to collect any residue that may be dripping off it. You almost had to weave your way around to get into the chair. Fortunately for me, I dont consume any ham, so having breakfast being overlooked by these huge pieces of Jamon was extremely unusual, perhaps a tad out of the ordinary, almost a little over the top for me. But, spare a thought for the poor dude having ham and eggs for breakfast, bet he was feeling a bit imtimidated, being overlooked by these huge Jamones that were probably still running around not too long ago :-(. No offence intended to those that enjoy these Jamones, this is just my perspective. The journey continues………………………………………Todays images are of some of the buildings I came across, and yep! a close up of some jamones …………………..
Once you’ve spent a day or two becoming familiar with the vicinity you’re stationed in when you’re visiting the Alpujarras, your appetite for more of the same increases exponentially. So, from the occasional ramble between little viilages, you venture out into the slightly longer hikes, like the one I described in my blog of yesterday. The ease of getting around, and the simplicity of the access is quite liberating. Yes, this is mountain territory and the weather can close in any time, yes, some of the tracks are quite steep, and some of the surfaces quite corrugated, but something about the place makes you feel adventurous and explore more and venture out further. 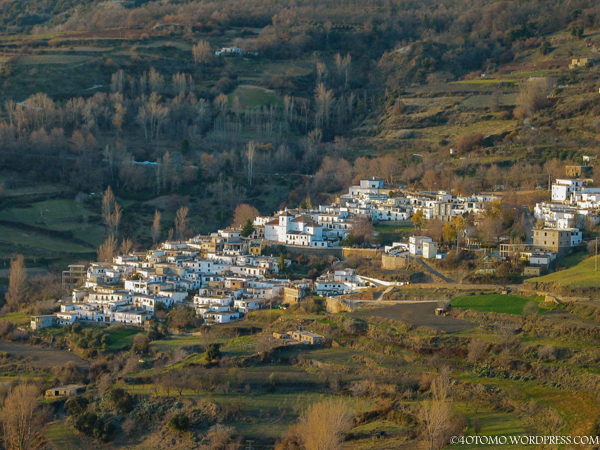 So, when I picked up a leaflet “Exploring the Alpujarras” with Elma Thompson – Taha de Pitres – Seven Villages, the decision to do it was obvious. In hindsight, when I think about it now, 7.5km over donkey and similar tracks, is not really a long hike, though when you think about walking between seven villages, it somehow feels a lot further than it actually turned out to be. The route that links these villages, is ancient as it follows the medieval caminos that were used before modern transport dictated alternate access. An extract from the leaflet reads ” do not expect to find shops or even bars in each village – though you will find an abundance of drinking water”. So, backpacks packed with munchies it was off to the start. Ironically, the walk starts next to a bar/restaurant on the min road. just in case anybody needed topping up to avoid any withdrawal symptoms from the abstinence over the kilometers ahead :-):-). The route starts in pitres, and it doesnt take long to realise why alternate routes had to be found for modern transportation, the first downhill part was literally a slot cut into a bank, which you soon realise is in excess of 2m deep….a bit daunting if the banks were a bit unstable, but its been there a while so it shouuld be fine:-). Before long, all of 20 minutes later, you reach Mecina. The significant thing about the closeness of these two villages, is how the altitudes differ, Pitres is 1245m, and Mecina 1027, yep! 218m difference in height!! hopefully that will emphasive how steep that bank must have been. 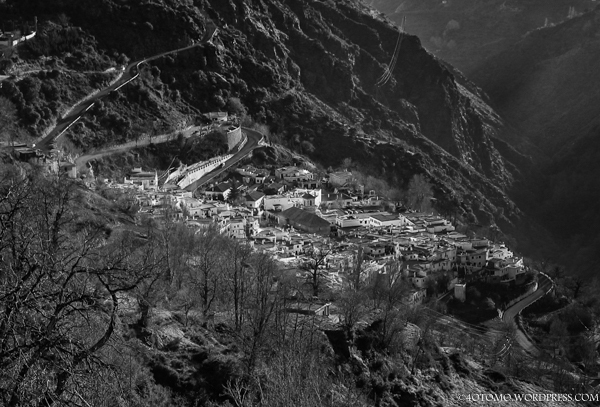 The route continued to Mecinilla, then on to Fondales hich turned out to be the lowest village of the route at 930m. A short while later you cross the Puenta de Fondales (bridge), and the route leading to Ferreirola at 1005m starts the climb back up the slope. Interestingly, as you approached each little village there was always a group of three or for village elders I assume just hanging out there having a chat. They paused mid conversation, nodded an acknowledgement and just continued about their conversation. Along the route you encounter fruit and nut trees, amongst them almonds and oranges, and houses as described in previous blogs, though with quite high density, packed closely together, with very narrow roads in between and tunnels that are called “tinaos” where buildings straddled the road at the upper level. Houses were kitted out with flower boxes, and planting, chainlink screens, and even an outdoor hammock with an incredible view. Your instinct is to just buy a place and move there 🙂 and trust me, I lingered for a while at every te vende (for sale ) sign I stumbled upon.